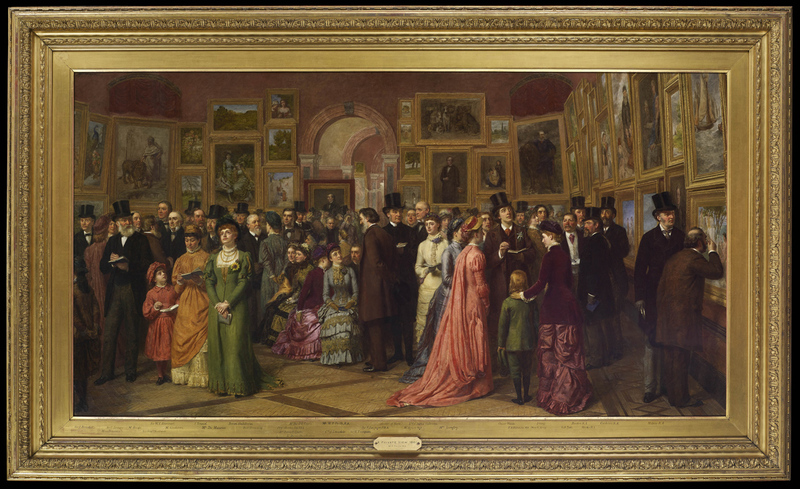 'The Private View at the Royal Academy, 1881', a scene of influential Victorians at an exhibition painted by William Powell Frith (1819-1909), is on offer from St James’s dealer Martin Beisly for a price in the region of £10m. The picture includes depictions of major figures of the day including Prime Minister William Gladstone, Lord Leighton, John Everett Millais, Anthony Trollope, Ellen Terry and Oscar Wilde. It is considered to be Frith’s last great panorama. When it was shown at the RA, it was the artist’s sixth painting to require a guard and rail to protect it from flocking crowds. It now comes to the market after 135 years with the family that purchased it from the artist. “The painting is in excellent condition, the canvas unlined and in its original frame with inscribed key,” says the dealership’s Martin Beisly.